Today we launch DvG and we start it off with Justice League of America #200 from 1982. I decided on this after reading George Gustines' article in the New York Times regarding Brian Bendis' move from Marvel comics to DC comics. 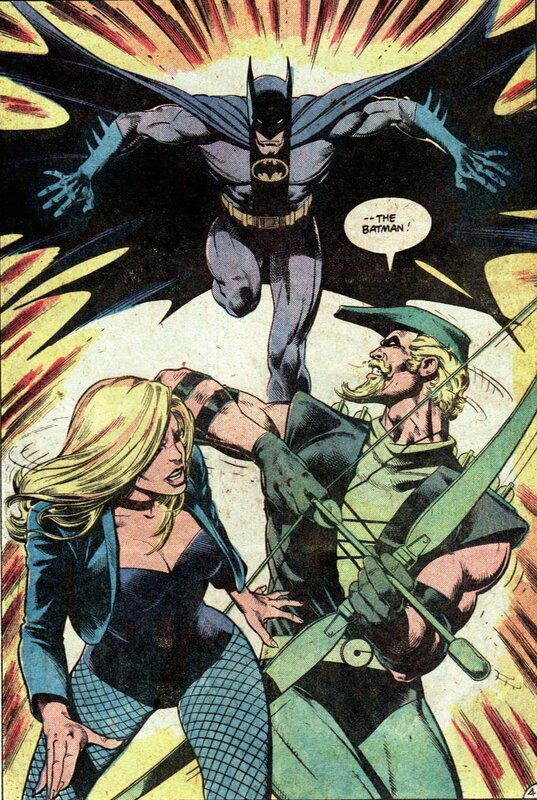 When tweeting about the article, Gustines included an image from JLA #200 and said they bonded over this comic in the interview, although it didn't make the article. That made me recall my love for this issue and thought it would be perfect for the first post. I'm not going to go into the history of it, but this is a damn fine read and considered by many as one of the best superhero comic books ever created. It is a 72-page anniversary issue and features the story "A League Divided" by the legendary Gerry Conway. The story involves the seven original members of the Justice League - Superman, Batman, Wonder Woman, Aquaman, Flash, Green Lantern and Martian Manhunter - who all get brainwashed into recovering the Appellaxian meteors1. The eight current Justice League members - Firestorm, the Atom, Hawkman, Green Arrow, Black Canary, Zatanna, Elongated Man and Red Tornado - have to try and stop them while trying to figure out why their teammates have no memory. This leads to epic battles, gorgeous art and one hell of a story. I won't spoil it just in case you haven't read it, but trust me, it's worth a look. Something else that is really cool about this issue is the Batman visits North Carolina! What?! How cool is that! On a side note, check out when Batman has visited your state when you have some time. I love this book and I think you will too. Check it out at your local comic book shop or grab a copy from Amazon below.